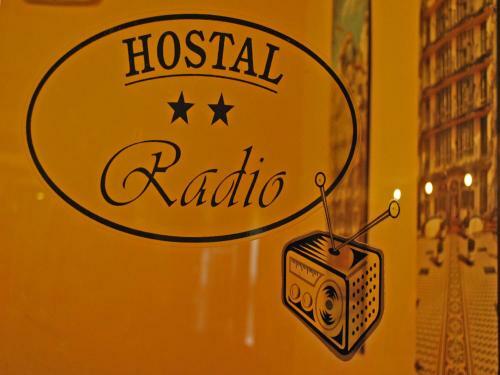 Hostal Radio is in central Barcelona, just 3 minutes’ walk from the MACBA and CCCB Modern Art Museums. 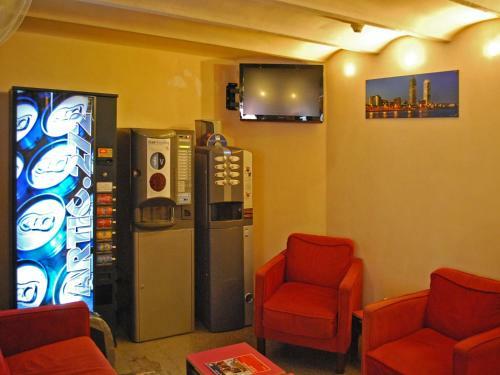 It offers a 24-hour reception and colourful rooms with a flat-screen TV. 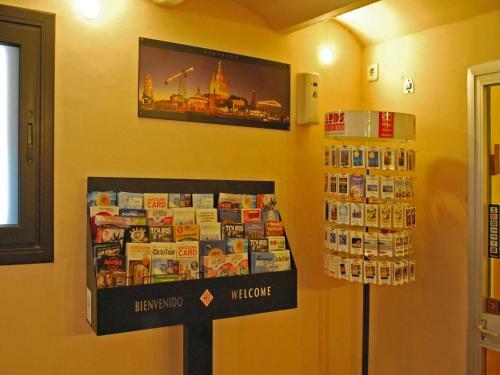 The rooms at the Radio feature heating and a ceiling fan. Each one has a private bathroom. 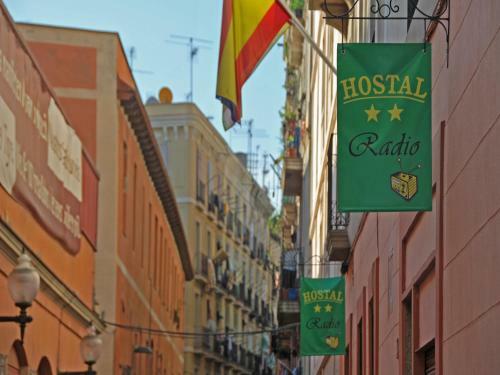 Guests at Hostal Radio are welcome to enjoy a free walking tour service, available on request. 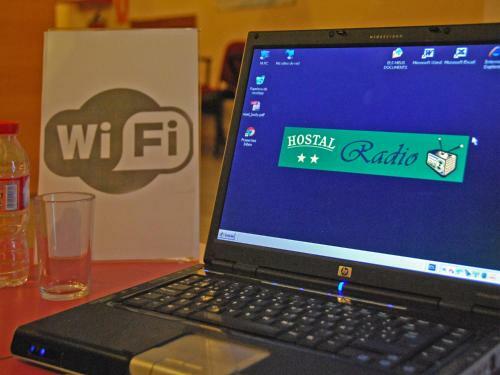 Hostal Radio offers coffee, capuccino, chocolate and cold drinks for sale at their waiting room. 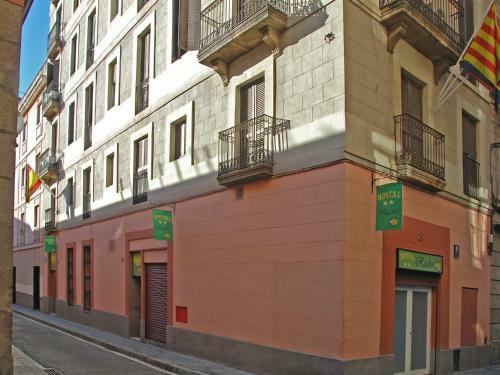 There are numerous bars, restaurants and shops within 2 minutes’ walk and both Universitat square and Catalunya square are just 5 minutes away. 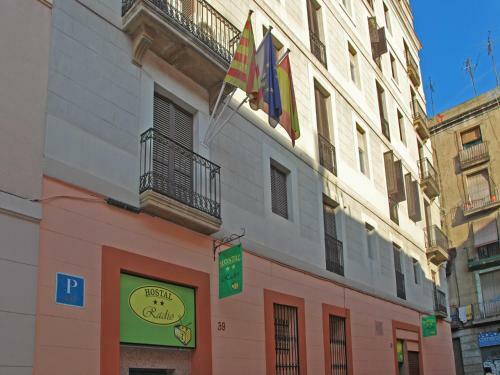 Airport buses leave from Plaza Catalunya and paid parking near the hotel is offered to our guests. Please note that early check-out will not be reimbursed. 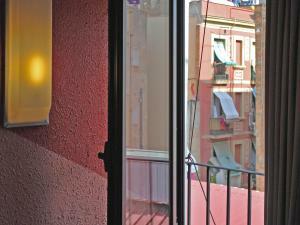 This colourful room comes with a flat-screen TV, heating and a ceiling fan. There is also a private bathroom. 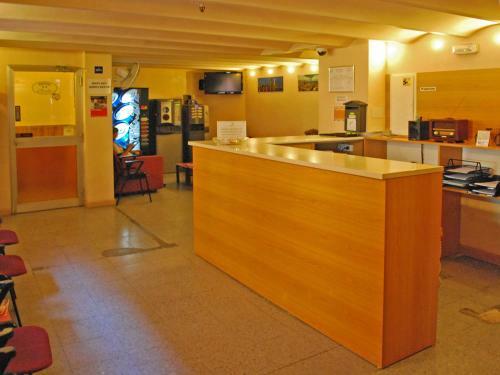 Rate: € 72.00 ... € 178.00; select dates below to get current rates. 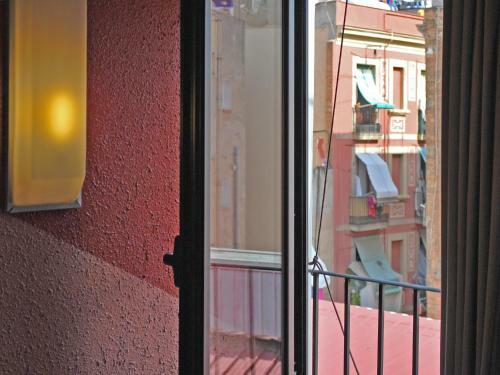 This colourful room comes with heating and a ceiling fan. 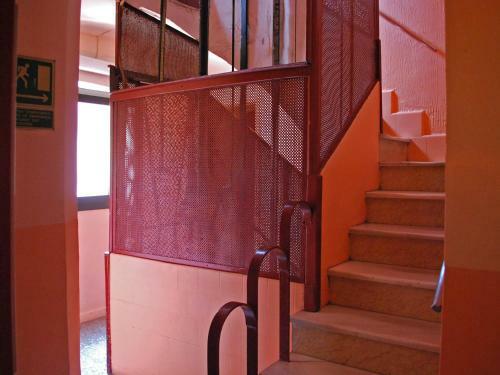 It also has access to a shared bathroom.